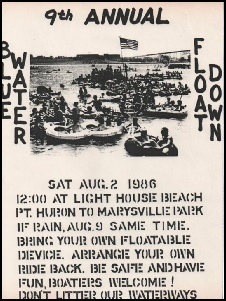 As is quite evident from the home-made nature of this flyer, the float down has always been a home-grown Port Huron event. In the beginning the float down was held on the first Saturday in August at noon. 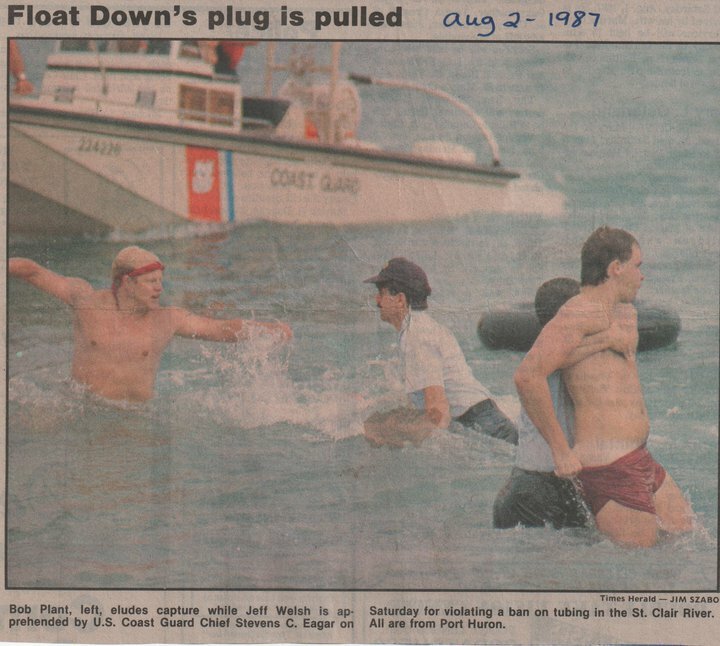 In 1986, a storm put an end to the fun, and was officially ended by the United States Coast Guard in 1987. 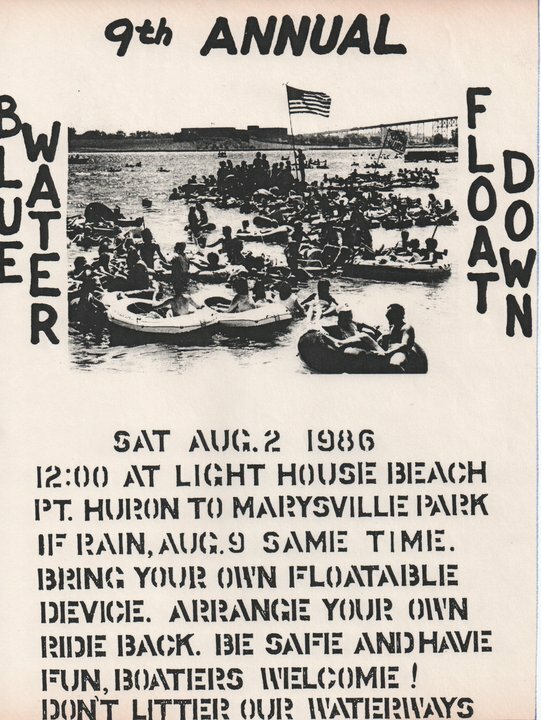 Though people continued to float every year, the Float Down did not officially resurface as an organized event until 2008, with the help of Mark Bills and the River Rat Society. 2008 saw the first true float down since its cancellation in 1987. Veteran floater Mark Bills, with volunteers from the River Rat Society, successfully brought the Float Down back with a crowd of over 3000 floaters, on a new day, being the Third Sunday in August, to satisfy various concerns. The New Float Down went off without a hitch. 2009 brought even more success. Under the new leadership of Erik Kimball, another floater from the Float Downs of the 1980’s, Lighthouse beach saw more people on its shoreline simultaneously than at any other point in history. With an estimated 6000 floaters, and scores of spectators, the float down saw the peak of it’s turnout. With an 88 degree day, the conditions would have been perfect, if not for the strong south wind that largely prevented forward progress. Yet still the Third Sunday in August brought plenty of fun to the community, and the public anxiously awaited the return of the Float down in 2010. 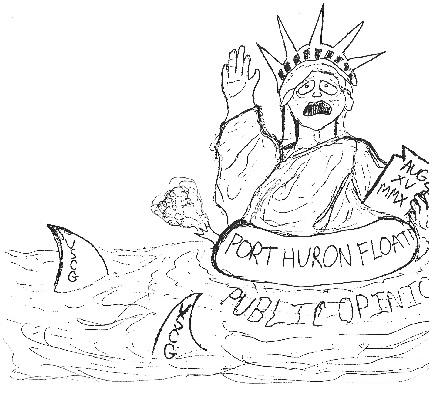 2010 Float Down, and faced fines of up to $8000. The charges were dropped on April 29, 2011. Included below are scans of the charges. as long as they are able.